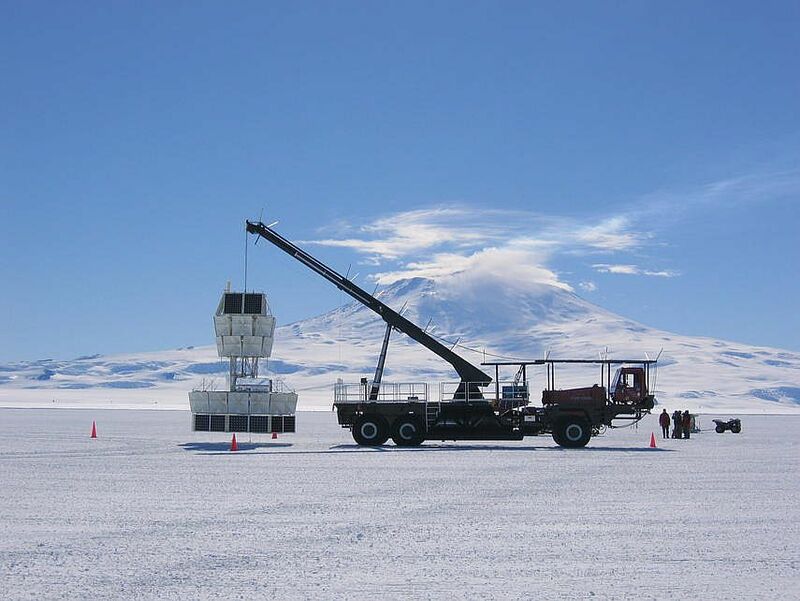 The ANITA instrument is a radio telescope to detect ultra-high energy cosmic-ray neutrinos from a scientific balloon flying over the continent of Antarctica. It will be the first NASA observatory for neutrinos of any kind. 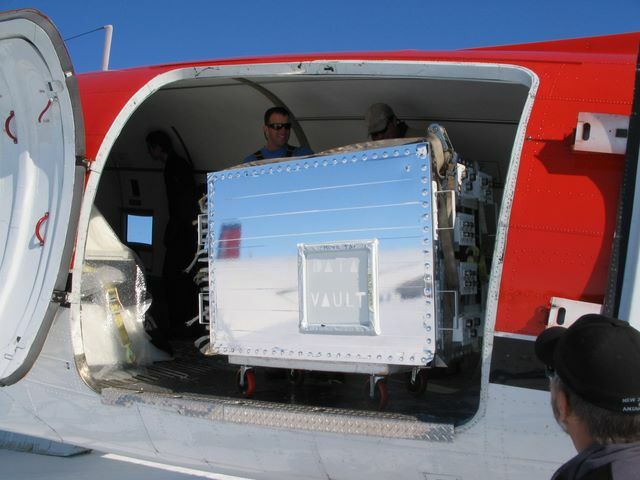 The ANITA instrument is being designed to fly over the continent of Antarctica - the location of some of the most pure ice in the world as well as one of the most radio quiet spots on earth. Flying at 120,000ft (~ 37 km) the instrument can observe ~1.5 million square kilometers of ice. However Neutrinos are so rare that with a detection area that large the scientists don't expect to see more than a hundred or so events. After several cancelled attempts during the previous days, the balloon was finally launched by dynamic method with assistance of launch vehicle (The Boss) on December 14th at 23:25 local time (December 15th - 0:25 according to utc TIME). Weather at the launch time was good. The launch run and pin release were smooth. The initial ascent phase was carried out at 1000 feet/minute passing through the critical zone of the Tropopause one hour after released, and reached the float altitude near 123.000 ft three hours later. The balloon's path looked a little strange at first but then acquired a more nominal trajectory as expected. 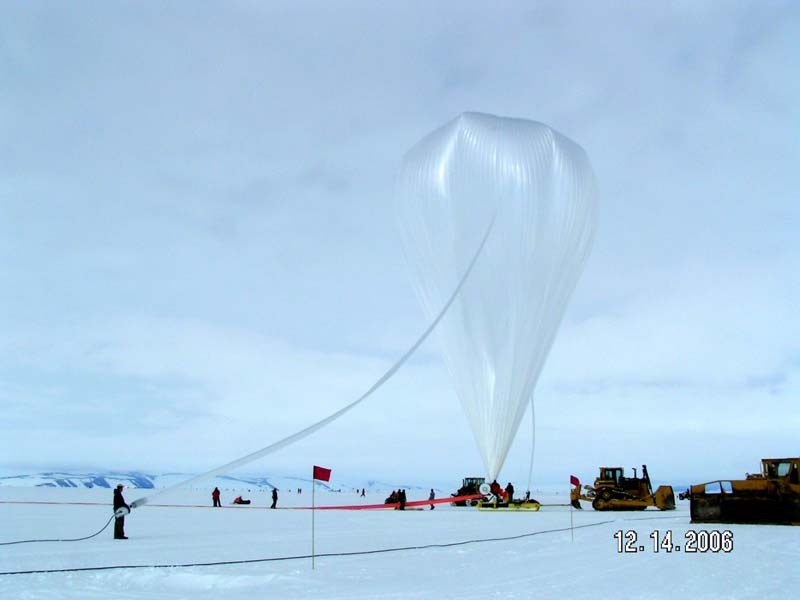 After a few hours the balloon mounted onto the Arctic vortex and started an anticlockwise route over the Antarctic Plateau. After 35 days of flight, the mission was terminated on January 19th, 2007 a little after 1:30 utc. The termination command was transmited from a C-130 plane flying in the vicinity of the balloon. 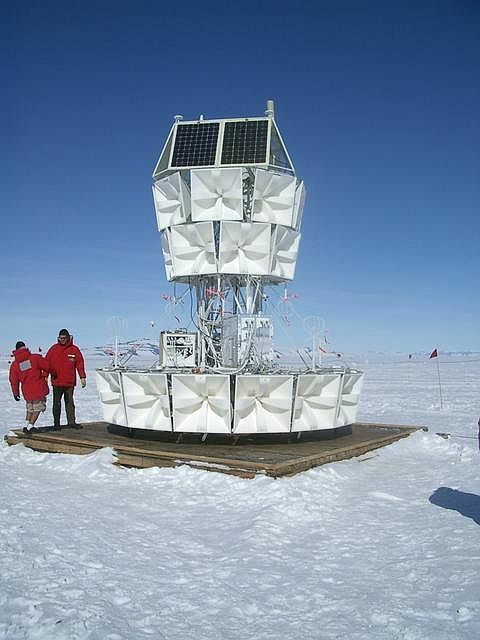 The payload landed at 2:09 utc at coordinates, 84º 33' S, 22º 07' W, 326 nautic miles northwest of the South Pole. From an aerial inspection, once in the ground the payload tipped over one side. The member of the scientific team confirmed also the separation of the parachute from the payload. Recovery was carried out days later by a Twin Otter plane. ANITA recorded approximately 8.2 M RF-triggered events during the 35 day flight, and for each of these events all of the antennas and different polarizations were read out and archived to disk. 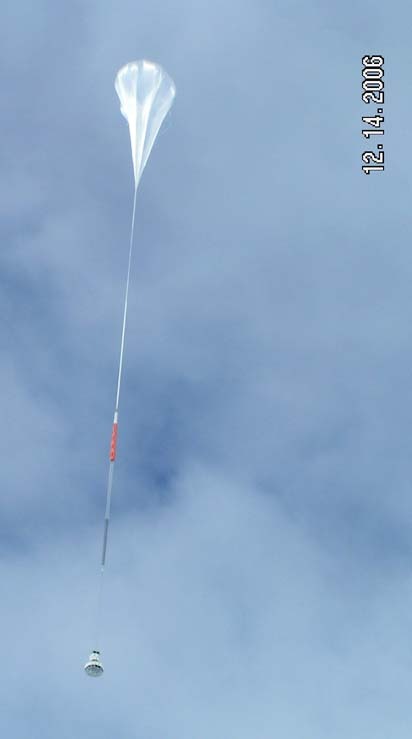 The system was able to maintain a trigger rate of between 4 and 5 Hz during normal operation without any significant loss, and this rate, which was determined by the individual antenna thresholds, met the pre-flight sensitivity goal for periods when the payload was not in view of strong anthropogenic noise sources. In practice, less than 1% of all recorded triggers do actually arise from a coherent plane-wave impulse arriving from an external source. The vast majority are random thermal-noise coincidence events, which are recorded to provide an ongoing measure of the instrument health, and separate validation of the sensitivity.